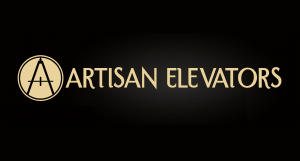 Stair lift retailers present a combination of residential and commercial models. For your home, installing one makes a great amount of sense: When you have mobility issues, whether long-term or temporary, being able to ascend and descend staircases continues to give you full use of your property, from the front steps to the second floor and even the basement. Essentially, it’s a practical alternative to living your life without moving everything onto one floor. But for commercial models, the needs overlap while diverging down as different path. Improved mobility remains a constant, but rather than consider your own personal needs, your customers’ are paradigm. Indy Stair Lifts presents our PRO range specifically for this purpose. Models range from compact lifts designed to support up to 350 pounds to larger, heavy-duty chairs suited up to 500 pounds. To assist a greater range of customers, lifts conform to many body types, offer a larger seat size and adjustable height, swivel at both ends, and are made with a direct drive motor/gear box, which requires less maintenance than belts and operates during power outages. So, within your business, why install a commercial stair lift? The ADA specifies that all people, regardless of ability, need access to a facility’s public areas, and for your employees, accessibility extends to non-public spaces, too. Depending upon your staff and your building’s configuration, a stair lift may be sufficient enough to expand access. Many commercial building owners think, “If I install a ramp between levels or at the front entrance, my facility’s offering accessibility.” Yet, ramps require a high level of exertion for some, making it nearly impossible for customers and employees to enter your business. A stair lift, as an alternative, removes this hardship while offering a less conspicuous design that can be folded up when not in use. When you’re a business catering to elderly customers or patients with mobility issues, accommodation must be a priority. 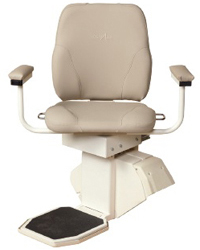 You don’t want to alienate your client base, and particularly for rehabilitation clinics, doctor’s offices, hospitals, and other medical facilities, it’s ideal to have a commercial-grade stair lift available for patients recovering from surgery, managing diabetes, or dealing with age-related health issues. When you own or manage a condominium complex, particularly one geared to an older clientele, you’ve got to take mobility issues into consideration. So, whether a condo owner requests an accommodation or you’re anticipating a range of needs, consider having a commercial-grade stair lift ready to assist your building’s residents. To find a system suited to your requirements, browse Indy’s range of PRO stair lifts today, and contact our team with any questions.